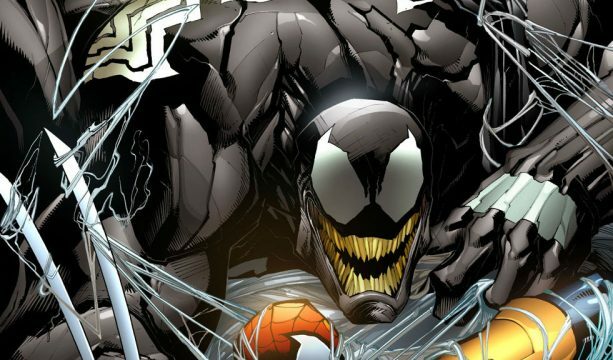 Earlier today, Sony’s planned Venom movie finally secured a 2018 release date, one that Aquaman originally held before Warner Bros. moved it, but it appears as if reports of The Mummy‘s Alex Kurtzman taking the helm were premature. The Hollywood Reporter has now revealed that he’s not currently attached to the project and that Venom is without a director at the moment. What the film does have, however, is a fresh set of writers, as the trade reveals that the latest draft of the screenplay by Dante Harper is set to be rewritten by the team of Scott Rosenberg and Jeff Pinkner. Both men worked on the upcoming Jumanji reboot together, while Rosenberg’s previous projects have included Con Air and Gone In Sixty Seconds. Pinkner, meanwhile, contributed to The Amazing Spider-Man 2 and The Dark Tower. What most fans are wondering right about now is how this spinoff will factor into Spidey’s current big screen adventures. The studio hasn’t outlined that just yet, but it doesn’t appear as if Venom will be set in the Marvel Cinematic Universe due to the fact that it’s being produced solely by Sony Pictures, rather than Marvel Studios, who have taken over creative duties on Spider-Man: Homecoming. Regardless, Sony has wanted to make Venom a reality ever since the release of The Amazing Spider-Man 2, so it makes sense that they’re forging ahead with it now, and if there’s any good to come out of them handling the pic alone, it’s that they’ll likely head down an R-rated route, following the success of Logan and Deadpool. So the project at least has that going for it, even if it is still upsetting that the character won’t be finding his way into the MCU.